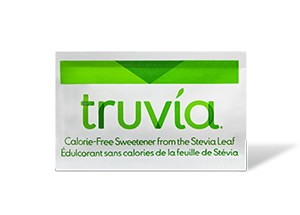 Truvia is a calorie free sweetener derived from the leaves of the stevia plant. Stevia leaf extract has been used to sweeten foods and drinks in its native land of Paraguay for hundreds of years. I was sent some Truvia natural sweetener to try out for myself. The first thing my kiddos and I did was try Truvia on our locally picked strawberries. This may not have been a fair test because in all honesty…. the strawberries were fabulous on their own. I moved on to a second, more important test…. coffee! 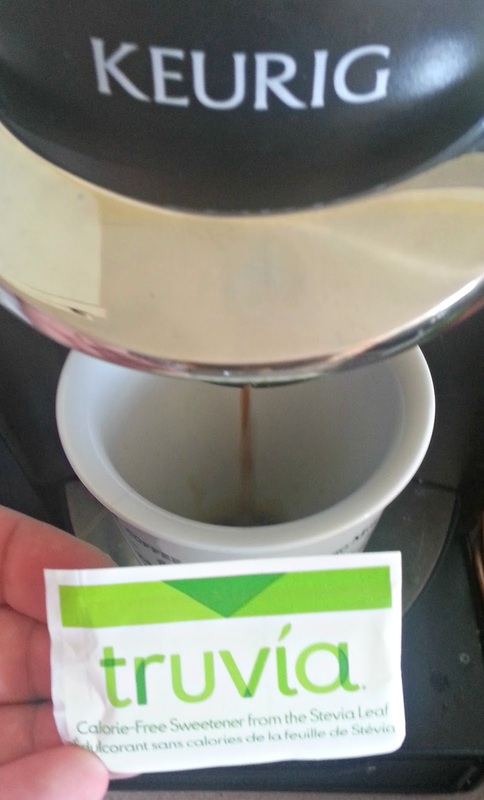 Happy to say it sweetened my coffee just right without an after taste that some sweeteners have. I also used some Truvia in a recipe. I looked over the recipes on the website that are family friendly and quick to prepare including summer beverages, such as, the Banana Berry Smoothie. There are recipes for main dishes as well! There are great sounding recipes for Pumpkin Pancakes or Apple Cinnamon and Pear Salad. YUM! All of the recipes looked great but when I noticed the conversion chart I knew I had to try one of my own recipes. I made my famous Banana Loaf on one of the cooler days during the heat wave. I substituted Truvia for sugar. I followed my regular recipe and added 1/2 the recommended amount of Truvia in the conversion chart. It was a hit! The true test was when the kids came home from camp and devoured their after camp snack. They did not notice anything different. Test passed. I haven’t personally tried truvia yet, but have heard good things about it. I usually wait a while after something like this hits the market because it seems like soon after people find out how unhealthy it actually is. My daughter really likes it. She thinks it is very sweet but naturally tasting and uses it in coffee or plain yogurt. I don’t think she’s tried baking with it yet but probably will. Thanks for you review, I haven’t tried Truvia yet, but I will be soon! I like it very much. For the past 2 years, my mom started giving after researching online. I love this…. I have used Truvia in my coffee smoothies and other recipes.